Home Slideshow Analytics Art Or Forgery? History is full of “ifs”. What if the Archduke Franz Ferdinand had not been assassinated, what if Hitler had not come to power… And with just a slight shift in direction for Han van Meegeren, his name would have probably fallen into oblivion. 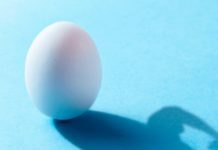 One of the things the two – the above-mentioned Adolf Hitler and Han van Meegeren – paradoxically had in common was painting. Ironically enough, both were unrecognised. Henricus Antonius van Meegeren (1889 – 1947) was an art enthusiast from an early age, particularly fascinated by the Dutch Golden Age. Despite his clear ideas about his future profession, van Meegeren´s father took his son´s career into his own hands and sent him to study architecture. Although architecture was not his choice, van Meegeren still managed to receive a prestigious Gold Medal from the Technical University in 1913 for his Study of the Interior of the Church of Saint Lawrence. Nevertheless, painting was a much stronger inner force for van Meegeren, and a year later he completed his diploma at the Royal Academy of Art in The Hague. His first works were of a commercial character and only in 1917 did he exhibit his paintings in a public showing. But his initially promising career suddenly took a different direction. His work, imitative of the style of the old masters, was soon, in the face of the newly emerging art trends of the early 20th century, critisised for lacking modernity. Somewhere at that time came a breaking point. After reading many articles that were critical of the work of which he was so proud of, van Meegeren decided to show the entire world just how extraordinary his talent was. Around that time he moved from Holland to the south of France… and six years later, in 1937, a new painting by Vermeer was discovered – „The Supper at Emmaus“. And who introduced it? Van Meegeren, in person. The art world was on its feet. The religious thematic in Vermeer´s work was believed to have existed, but only one such piece had been recognised to that point. The excitement generated by van Meegeren‘s discovery was amazing. Art experts praised the unique experience of uncovering an unkown painting just the way Vermeer van Delf had left it behind. 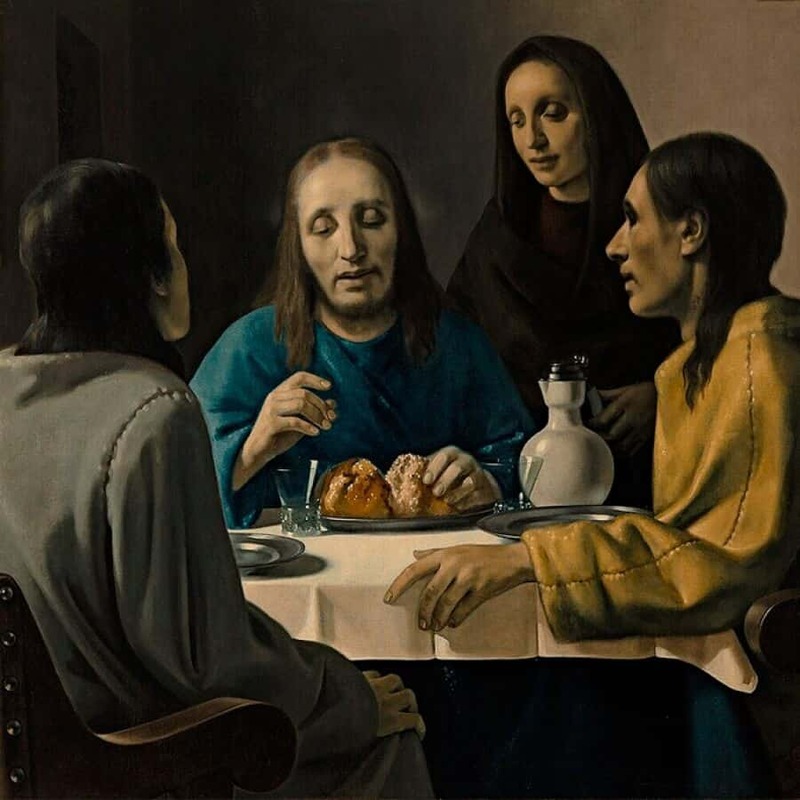 … he hadn´t sold in 1942 one of the so-called Vermeer paintings – „Christ with the Adulteress“ – to Hermann Göring. From that point things took quite a different turn, which led to letting the bitter secret out. Han van Meegeren was arested in 1945 by Allied forces. For Nazi collaboration and plundering Dutch cultural property, he faced a couple of decades in prison, even threatened by the death penalty. Under the circumstances, it became clear that the position and fate of a forger was far better than the fate of a Nazi sympathizer. To prove that he had not sold the Dutch nation’s National Patrimony in the form of Vermeer´s masterpiece to the Nazis, but had actually tricked Göring into buying a forgery which he had painted himself, sounded little unbelievable, but van Meegeren decided to prove it. In the years when vanMeegeren lived in seclusion, he sharpened his obsession with the old masters to the point that he could practically paint the originals. He revealed several tricks which led to revealing as fakes pictures that were impossible to distinguish from originals. First of all, his choice of topics was such that these paintings were believed to have existed and had been considered lost. The newly „found“ paintings could not have been compared with any others that were already hanging in the galleries of private collections. He made sure to paint on canvasses which were of similar age so they were dated as contemporaneous with Vermeer´s other works. But most of all he studied the work of the masters so carefully and in such detail, working out the technique, experimenting with colours, using old formulas, preparing paints from skratch, even preparing his own brushes, all that to ensure the authenticity of the old masterpieces. And yes, he eventually fooled the experts into believing that his fakes were original. While in prison, he was made to paint another painting to prove his statement. Under observation he painted a piece called „Jesus among doctors“. Interestingly, even that wasn´t enough evidence. In his 1947 trial, which took place in the Regional Court in Amsterdam, he was sentenced to one year in prison for forgery and fraud. Very soon after the conviction, van Meegeren died of a heart attack. Because his work was so convincing, and because he practically created new paintings, the issue of whether to consider his works as art or forgeries is still up in the air. 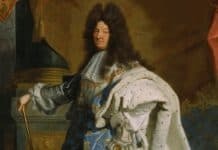 Louis XIV of France – Louis The Great! – Louis The Sun King!